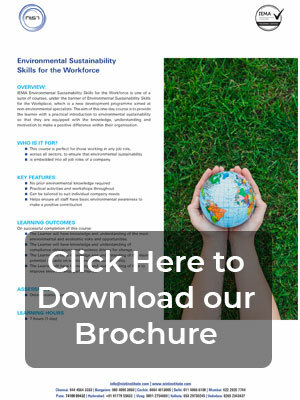 Pursuing IEMA Environmental Sustainability Skills for the Workforce is without question the best and easiest way to discharge responsibilities successfully in the arena of environment management. This course contains every skill to rely on from the perspective of environment specialist even for the non-environment specialists. Again, there are skills to handle environmental risks as a part of this course. Therefore, if you want to manage every aspect of environment, it is an easy-to-pursue course from the perspective of professional career as well. This course has been developed to cultivate fundamental awareness on environment and sustainability issues in the workplace. Designed for non-environmental specialists, this course instills knowledge on sustainability and environmental management concepts and motivates participants in discharging their duties without ignoring the environmental responsibilities.